Dario Argento’s Inferno is the most abstract, expressionistic and nearly incomprehensible entry in his Witch trilogy, like oil and blood smeared on canvas haphazardly to create something just this side of the conscious realm. The other two films, Suspiria and Mother Of Tears, each have their place in the story, with this one doing middle chapter duties, but really they all work better as standalone films more than anything cohesive. While the film clings loosely to the idea of two college students investigating separate Witch covens in both Rome and New York, that’s just the baseline for a petrifying, beautifully surreal mood piece full of thumping psychedelic music by Claudio Simonetti and Goblin, and episodic set pieces of bizarre dreamlike horror. Argento is the undeniable king of lighting and atmosphere, and although other areas of the work like story, dialogue and acting suffer, it’s easy to look past that and get swept up in his magnificent visions. Unearthly light and wind ripples over the hair of a gorgeously enchanting witch who holds a cat and and stares down one of the protagonists in a lecture hall. An eerie full moon possesses one man trying to drown a bag of cats, and a butcher knife wielding whacko. A woman descends underwater into a flooded derelict building and discovers a bloated corpse floating there in the film’s most harrowing scene. Argento’s films are less about the rhyme and reason, more about the feeling of it all than anything else, very much like dreams. 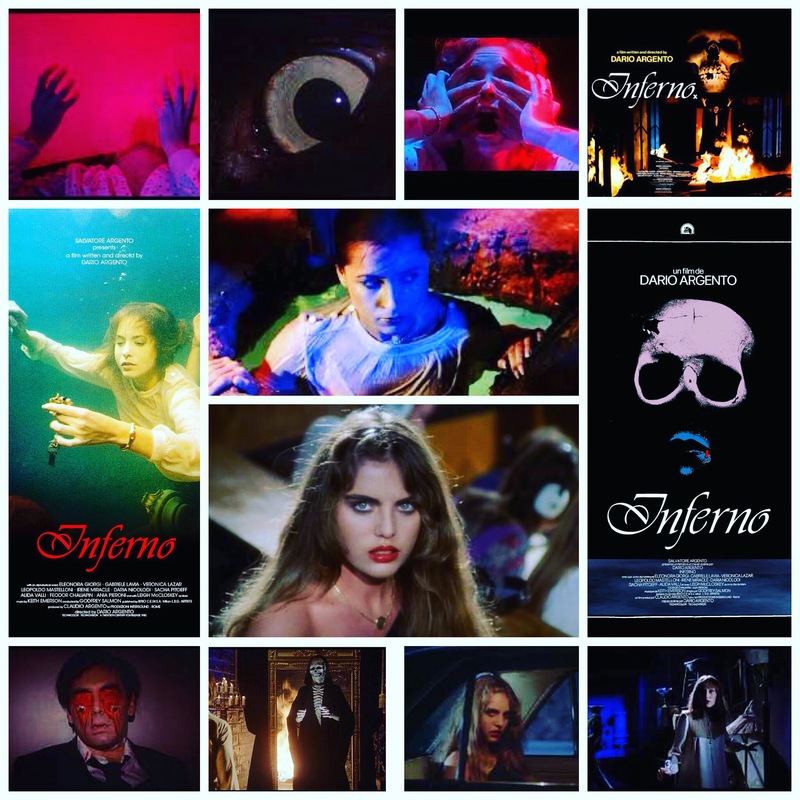 Inferno is one of his very best, a feverish madhouse of light, colour, operatic violence and hypnotic music.